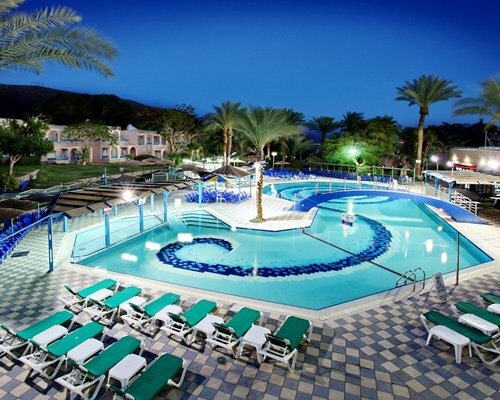 Club Hotel Eilat is located in Israel's southernmost city and situated at the northern tip of the Red Sea. 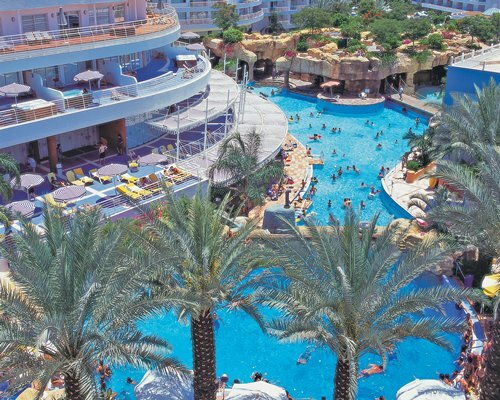 The resorts boasts beautiful landscaping throughout its property, spacious accommodation, a wide range of amenities, and a convenient location to enjoy the area's beach and attractions. Enjoy relief from the summer heat at the large outdoor swimming pool and sip refreshing drinks by the poolside bar. A separate children's pool and playground area are also available for the younger guests. 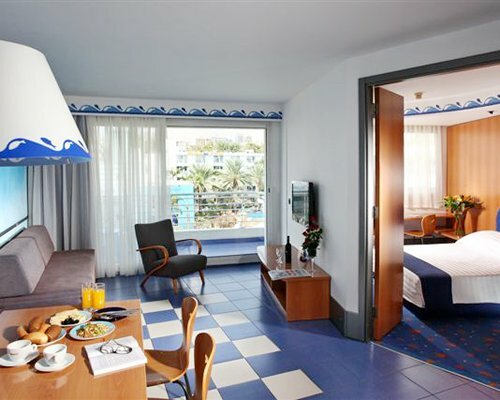 Club Hotel Eilat features spacious, air-conditioned one- and two-bedroom accommodations equipped with a kitchen and microwave oven. 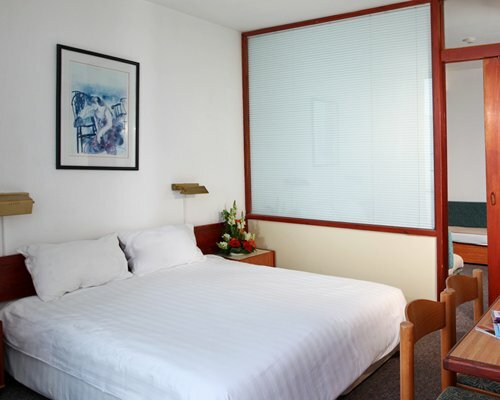 One-bedroom units sleep 2 to 4 people; while two-bedroom units accommodate 4 to 6 guests. All units have a separate sitting area. 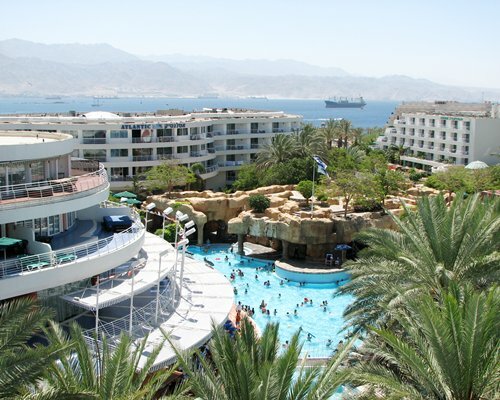 Eilat's beaches face the Red Sea, or the Gulf of Eilat to be precise. The calm waters are ideal for swimming, water sports and boating activities. The area is also renowned as an excellent diving and snorkeling spot. If you're not a diver or a good swimmer, you can still get spectacular underwater views of the teeming marine life in the area via a glass-bottom boat tour, submarine, or a visit to the Coral World Underwater Observatory, just 3 miles away from the resort. If you wish to experience swimming with dolphins then a visit to the Dolphin Reef nearby should be on your to-do list. Eilat is also one of the best places in the world for bird watching. Approximately one billion birds traverse the area every year. If you feel like exploring, the resort can arrange organized tours to Jordan and guided desert hiking trips. Numerous restaurants, bars, nightclubs and a wide variety of shops are also close by. Resort amenities fee is 400.00 local currency. Cash or Credit is accepted. Beds/Cots fee is 36.00 local currency. Cash or Credit is accepted.